I came across the website of this amazing artist: Jason deCaires Taylor. 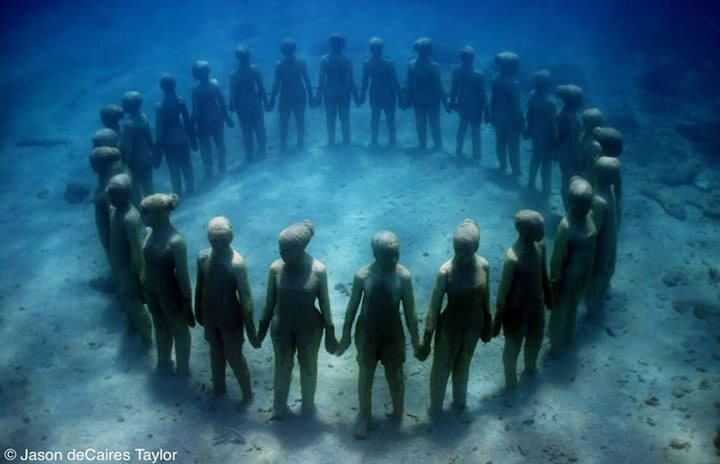 He has installed several projects of underwater sculptures which function as artificial reefs, artwork and also attractions for divers at the same time. It’s great to see how love for the seas sparked off such a creative project. Reading his biography was a great reminder of how things can just make sense in the long run and how different aspects of experience can be interwoven into something much larger.